Dudley North MP Ian Austin has said he’s “absolutely delighted” at Dudley College being awarded an “outstanding” rating by Ofsted. He congratulated College Principal Lowell Williams and all his colleagues and students on achieving the award which ranks Dudley College as one of the best in the country. 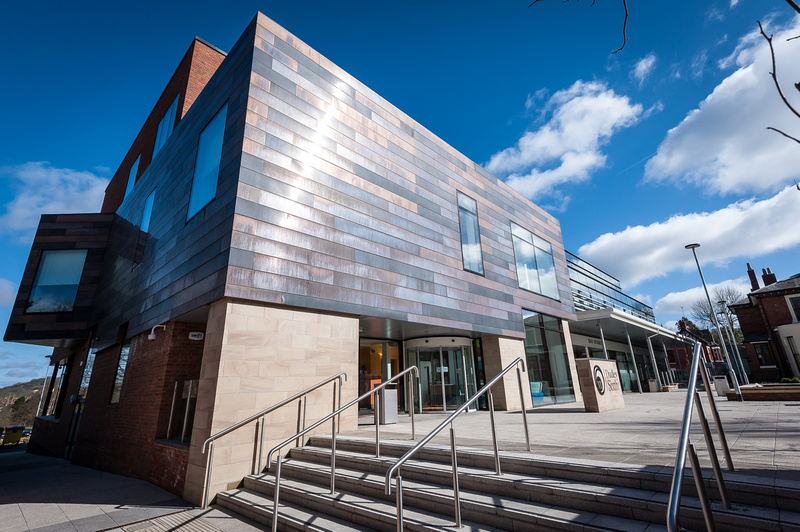 Austin has supported Mr Williams and his team as they built a brilliant new town centre campus, tackled the college’s financial problems, increased student numbers and transformed the quality of teaching. The college is also working closely to support businesses in the borough and is now the largest provider of apprenticeships in the West Midlands. Austin is backing the college’s plans to develop University Centre Dudley, a new £30 million university-level technical and hi-tech manufacturing centre at Castle Hill that will boost the Black Country’s economy and bring new industries and new jobs to the area. The centre be a new university-level technical and hi-tech manufacturing centre making Dudley a national centre for a wide range of new industries such as vehicle propulsion, rail systems and digital engineering. It will enable Dudley College to deliver more apprenticeships, higher level and technical apprenticeships and will work with other universities to offer degrees. “Everyone in Dudley should be saying a massive thank you to Lowell Williams and his team for the way they have turned the college round, transformed the town centre, supported local businesses and helped strengthen the area’s economy. “I’ve always said we need to make education our number one priority to help local businesses grow, give youngsters a first class start and give adults the opportunity to get new jobs too.